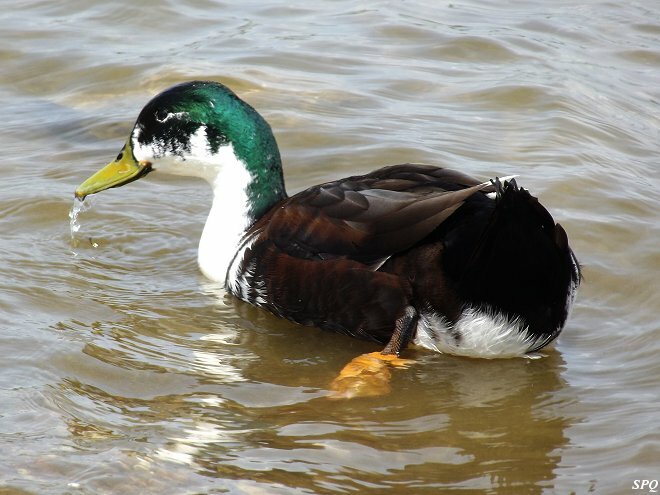 The Duclair Duck is a breed of French waterfowls that found its way to the USA. These flighty birds are easy to farm since they are good-natured and are easy to rear. 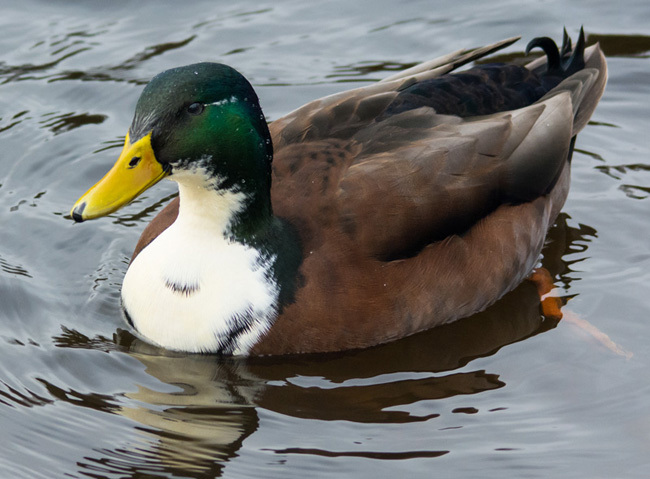 Known for their rich, elegant flavor, this duck has specifically been acclaimed as table birds in the cities of New York City and Paris. 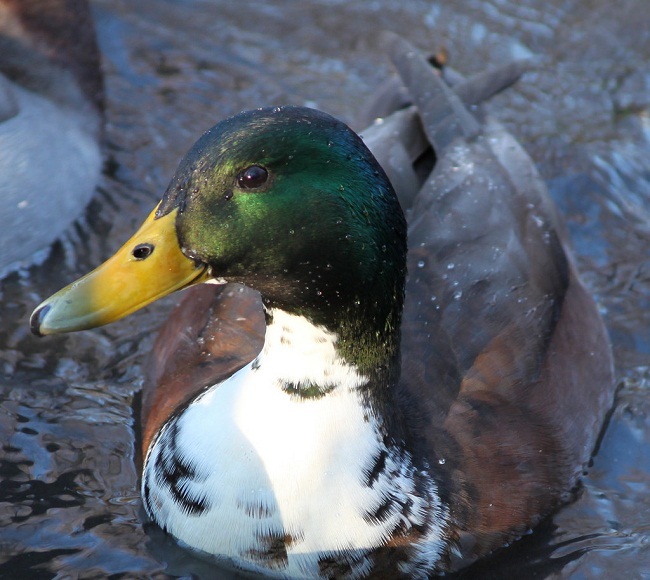 The Duclair duck is a breed that was first developed in France and is native to the country for about two centuries. This bird is thought to have occurred naturally from wild migrating fowls, and is quite similar to the Swedish Blues. Duclairs do well as pasture or free range grown, but were further perfected at the Metzer Farms in New York state, in partnership with the Stone Church Farm. They began to import the breeding stocks for farmers to grow-out for their restaurant. The official standards of this water-bird were first established on November 23, 1923. These are dual purpose birds and have been extensively used for both eggs and meat. 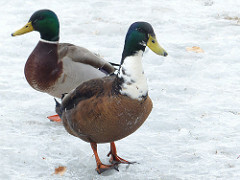 In fact, this bird is known to be excellent for roasted duck dishes. The meat is red, unlike most other varieties of bird meats developed in poultry farms. The ducklings grow fast, and are considered to be ready for the table at the age of 2 months. The female duclair ducks can lay around 80-100 eggs per year and make good mothers. The eggs are fairly large and have a bluish green shell, and with a weight of around 70 grams. Celebrated French chefs Daniel Boulud and Alain Ducasse have described the meat of the duck as “tasting like a cross between veal and lamb”. In New York, a Michelin three star restaurant has included the Duclair in their menu. The classic Duclair ducks that have a green head, white bibs, a black/brown/blue grey-body are described by the farmers as the ‘classic Manky Mallard’. 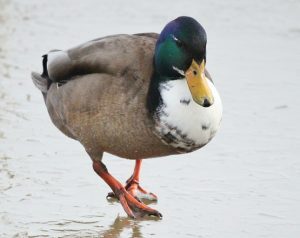 The Duclair Duck got its name from the town of ‘Duclair’ in Normandy.